Thanksgiving is a time for counting our blessings and giving thanks for all the wonderful things we have in our lives. I know with my kids, I like to make sure we all practice being thankful for everything we have. We have many things to be grateful for and I want them to appreciate everything we have as well. 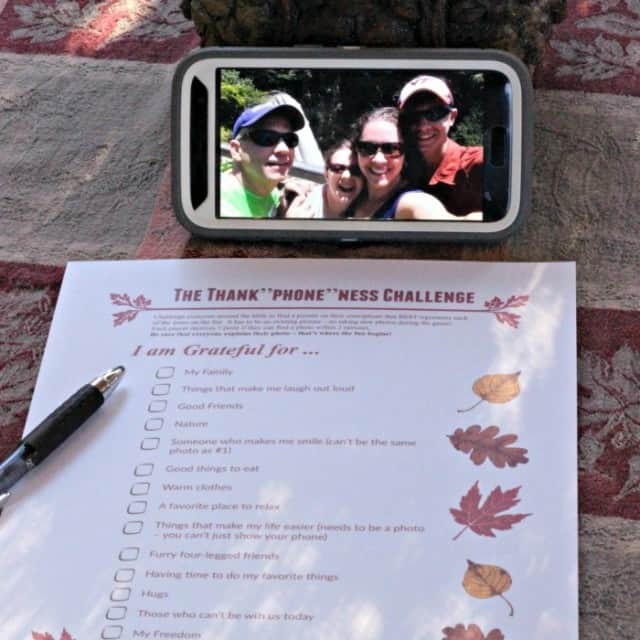 Here are some awesome Thanksgiving gratitude activities to make sure you try this year! This is such a fun way to share what you are thankful for. They made the tree, but I would imagine you could easily create a tree by using the right stick or small branch as well. The paper leaves add quite a lot of color and are a great way of writing down what you are thankful for. Gratitude Wall by Making Life Blissful. This looks super easy to setup and implement. I know around here, the more simple it is to do, the more likely it is to get done. This is a great way to involve anyone who comes to visit you as well. 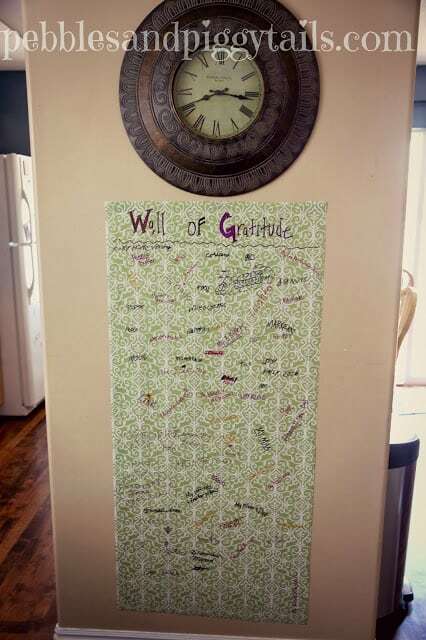 They can add to the gratitude wall as they come into your house if you have it near the front door. Gratitude Garland from Somewhat Simple. Another easy way to show your thanks this year. 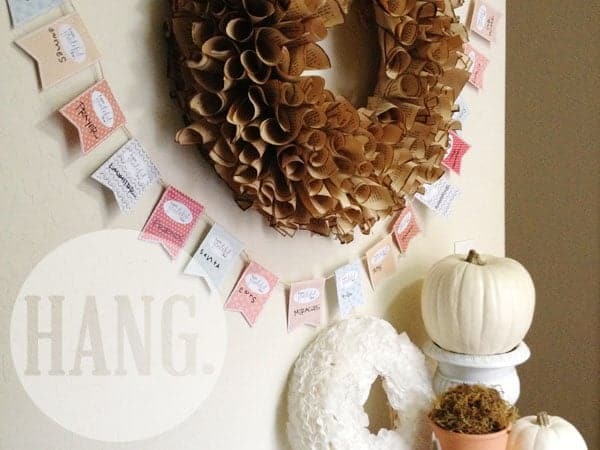 Plus, this is a simple way to use up some of that scrapbook paper you have stored away. Gratitude Jar from Life Overstuffed. 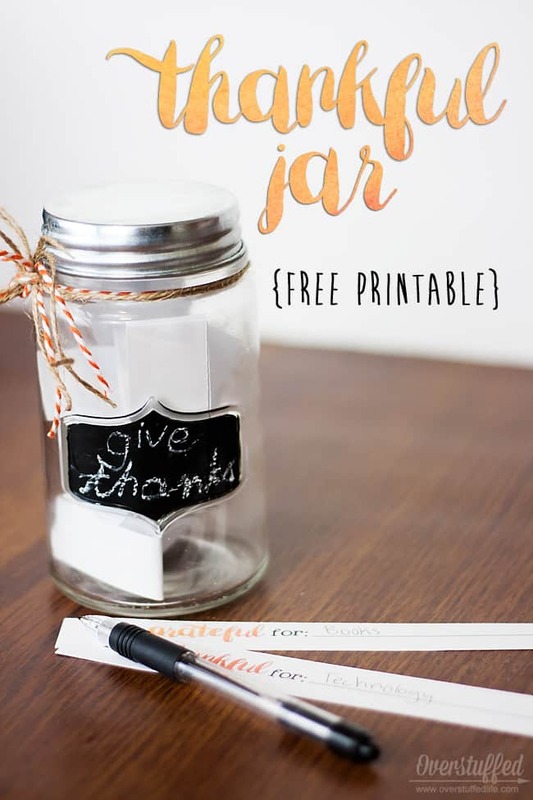 The jar idea is really easy to do. I actually keep a jar around all year just for this purpose. I jot down fun memories, hilarious things the kids say or anything that we might want to remember later. The kids add to the jar also and we like to go through our jar and laugh at the end of the year. Thankful Turkey by Busy Toddlers. This is such a fun and colorful project. 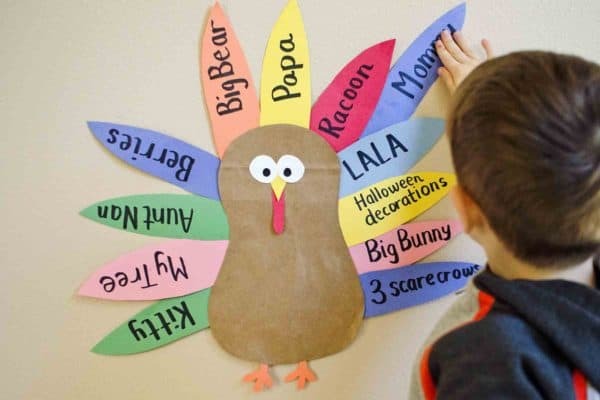 Just add what you are thankful for to the “feathers” and watch as your turkey grows. Phone Scavenger hunt from KCEdventures. This looks like a fun way to express to others how thankful you are for them. It’s a different take on a scavenger hunt with acts of appreciation to your loved ones. A gratitude wreath from Family Fun Magazine. 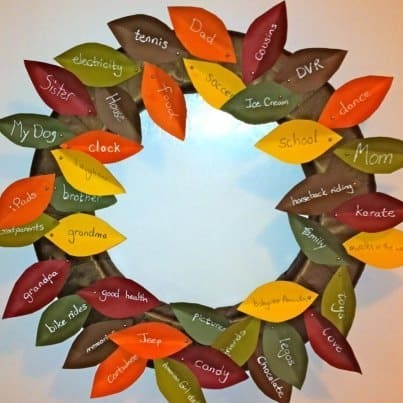 Just write what you are thankful for on the paper leaves and add it to the wreath. Gratitude Rocks from Teach Kids Art. 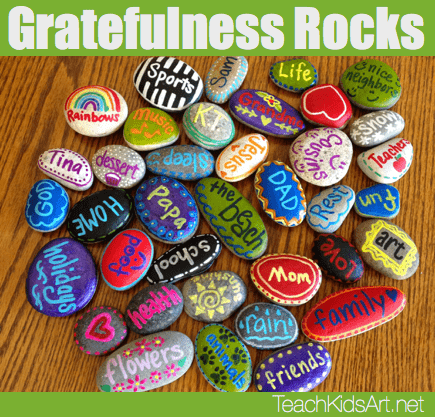 These gratitude rocks have so much cheer and color. 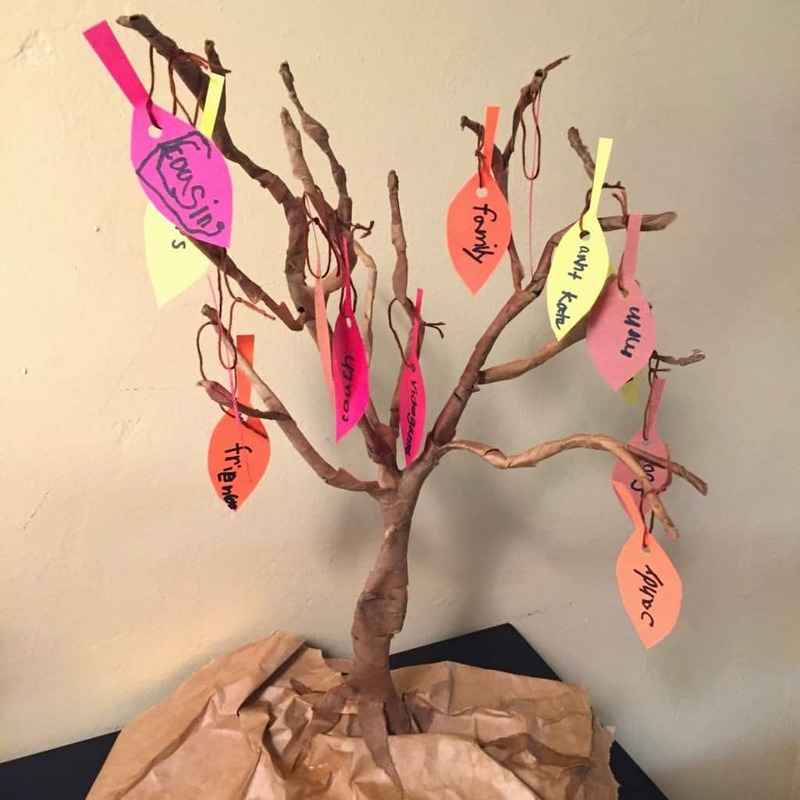 You can keep these in all sorts of places and this is a great way to remember what you are grateful for all year long. 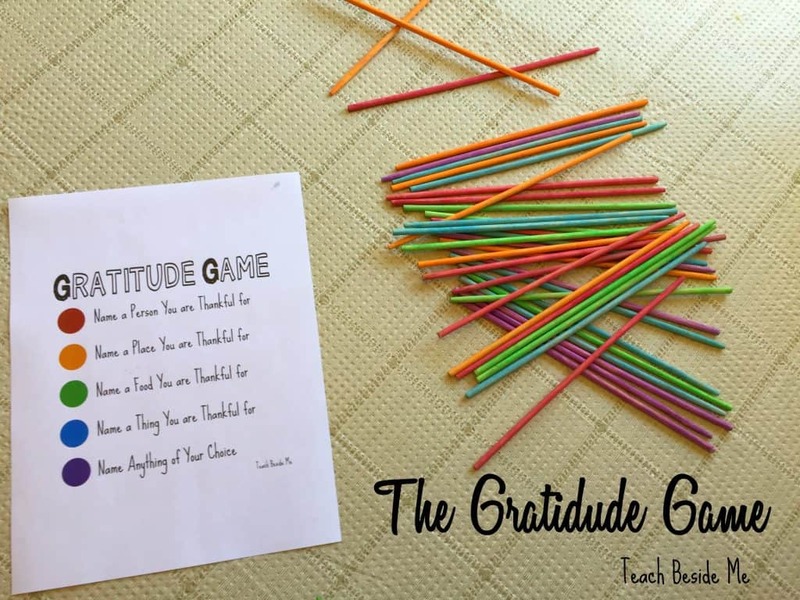 The gratitude game by Teach Beside Me. This is a fun way to say what you are grateful for – make it into a game. 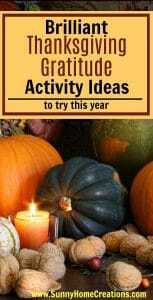 I hope you found a fun gratitude activity to do this year! let me know in the comments below what gratitude activity you are planning to do. If you like this post, I’d love for you to pin it!